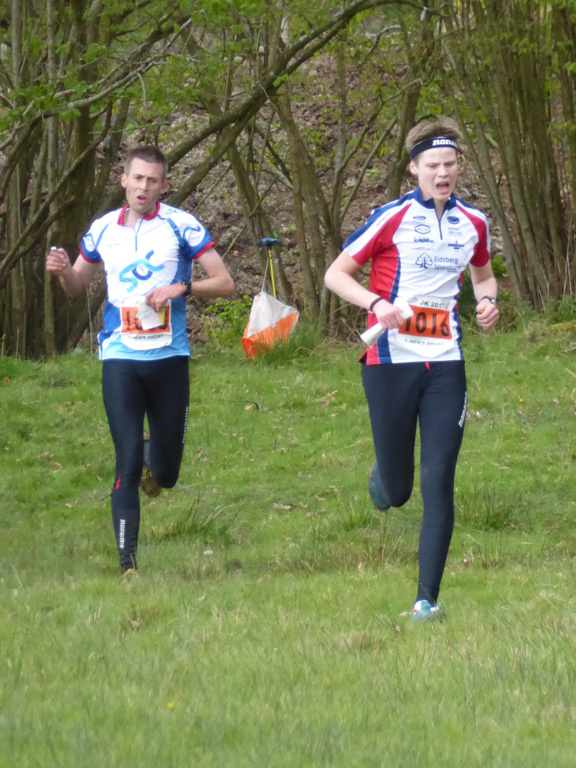 We had a fun Bank Holiday weekend in South Wales competing in the OMM Lite. Christine and I were entered on the Long Score with her Mum having offered to mind the children at the event centre in Cwm-du, nestled in the Black Mountains. The Lite is significant as the event is quite different from the OMM itself. Firstly, as with the Capricorn, you return to the event centre on Saturday so there is no need to carry camping equipment or food. Secondly, the weather at this time of year was considerably better than your average OMM. 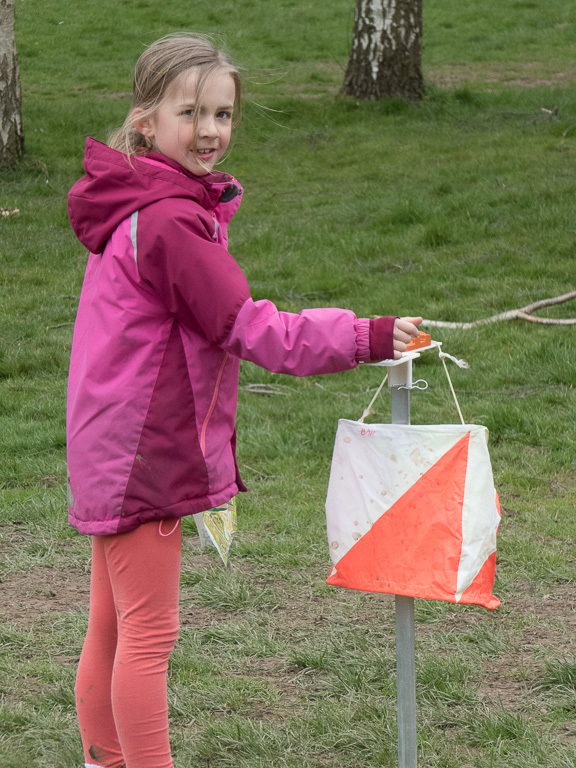 Lastly, the event was restricted to using rights of way only. This latter point makes a major difference: the navigation was simple, the course was much more runnable, and lastly, it meant that the route choice options were much more limited. In the seven hours on Saturday, we ended up running 53km – considerably more than either of us had been expecting. This included an ascent of Waun Fach. 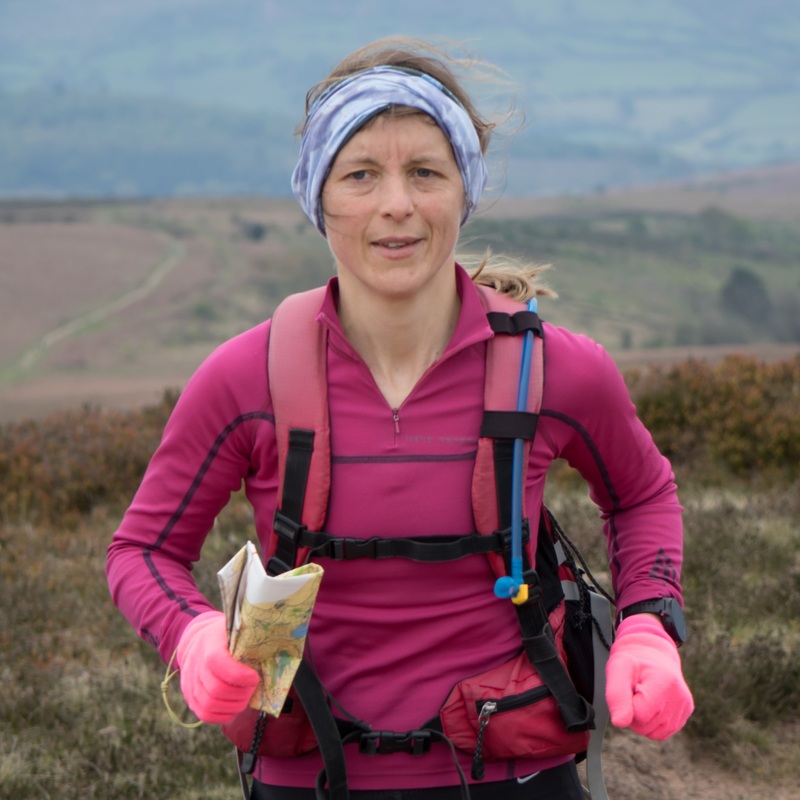 Unfortunately, with Pen Cerig-calch effectively out-of-bounds it also meant that, with two hours to go, there was nothing for it but a long run back round the lanes and connecting footpaths, picking up a few checkpoints on the way. We finished the first day in second place. The winners were miles ahead of us (rumour has it that they ran a further 10km) but there was another mixed pair just behind us who we knew had been running faster than us. The map had all of the available checkpoints for the weekend marked on it and, although it was only at the start of each day that you discovered the controls that were open and how much they were worth, there was still plenty of opportunity for route planning on Saturday night. In the end, we only made one small tweak to the route I had chosen, taking in Mynydd Troed at the beginning and returning to Mynydd Llangorse, where Christine’s Dad was stationed, towards the finish. 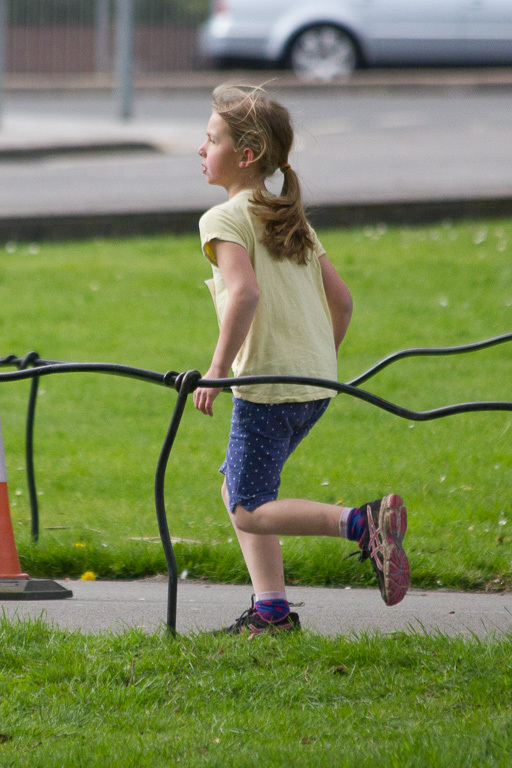 With blisters from her new Inov-8s, Christine chose to wear road shoes on Sunday and wasn’t significantly disadvantaged. In contrast, my new Inov-8 Talon 212s didn’t give me any trouble despite only having worn them for half an hour before the event. Rather embarrassingly, our attempt to avoid the Brecons over Easter backfired completely as there was a control within 50 metres of where we had parked the car at Llangorse Lake! It didn’t give us any advantage though with no option for canoeing across the lake! Christine’s knee started to give her some trouble with 1.5 of the 5 hours still to go but she soldiered on and, as we had time, was even persuaded to take in an extra control at the end. This brought our distance for the second day to nearly 35km, gave us a win for day 2 and confirmed our place as second overall and first mixed-pair. 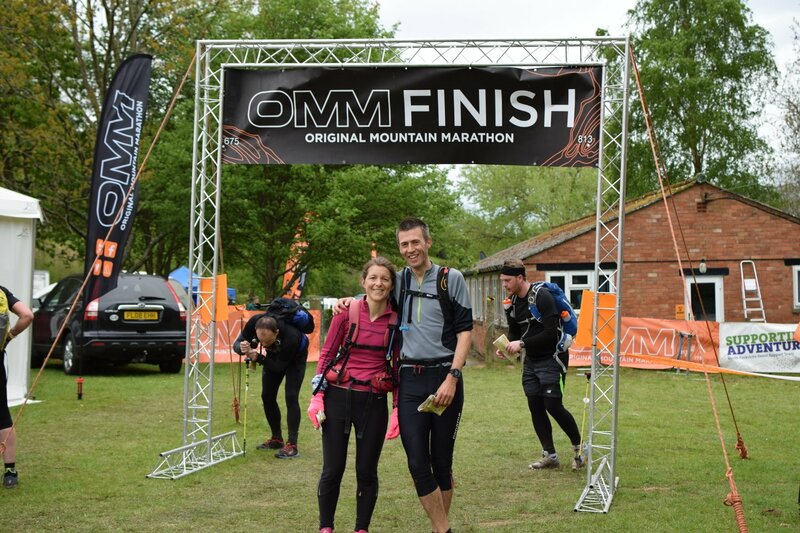 Overall, a fun weekend although, as I say, quite different from the OMM. 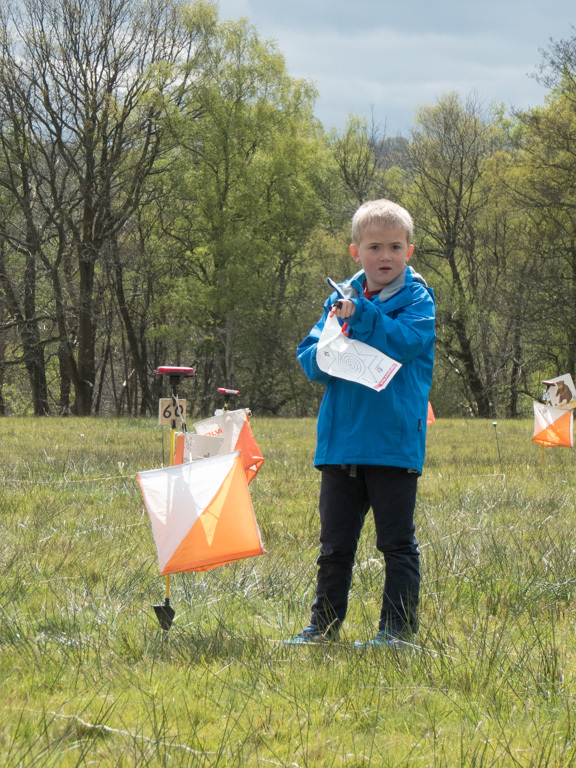 It was certainly family friendly with the children enjoying the organised walks and the mountain bike skills course laid on at the event centre. 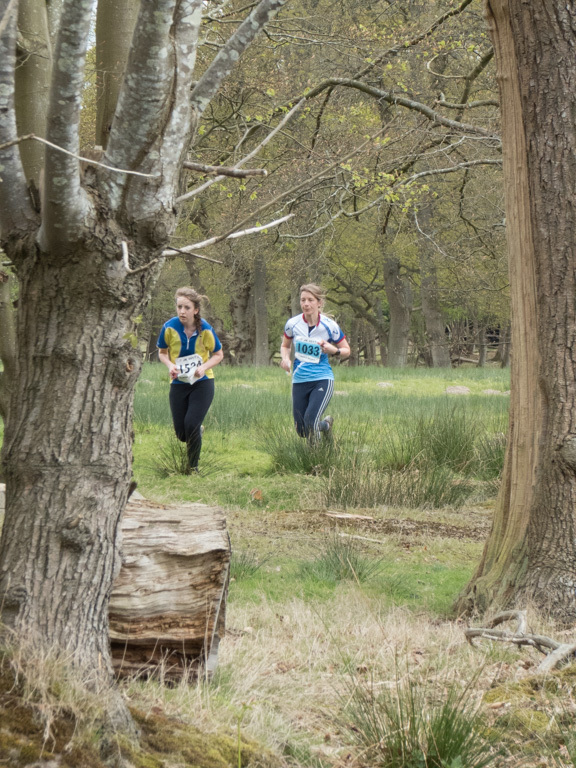 The Lite format has another couple of events in the south with the Chilterns and Surrey Hills but, even with the requirement to stick to the paths, I don’t think they can compete with being out on the open fells. I went round the blue course which was quite fun, particularly given that the paths had been (deliberately) left off the map. The bracken needs a little longer to die off properly but the area was still pretty runnable although, as Pete Bray demonstrated later in the day, it was actually runnable at a lot faster pace than I was doing! The controls had been hung fairly high for which I was grateful as my compass-work was a little rusty. My ankle was also playing up a bit – a reminder not to get too carried away. The one event a month that SOC puts on is about the right frequency without having to stray further afield. 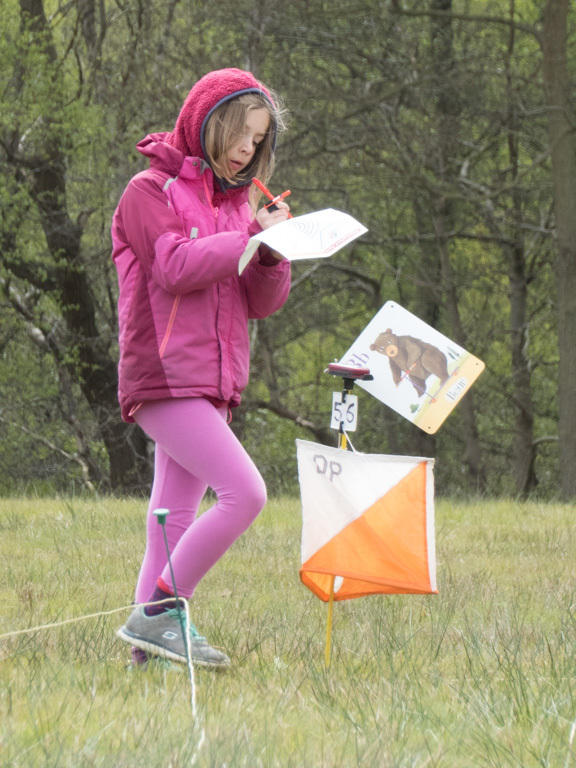 For the Bank Holiday weekend we headed to the British Orienteering Champs at Brown Clee in Shropshire. We arrived in glorious sunshine on Saturday morning but this soon turned to hail as we climbed up the hill to the assembly area. We were very grateful that a club mate had already erected the club tent as the hail came and went for most of the afternoon. I had an early start and it has to be said that I had a pretty poor run in my first year at M40. Although 7th place in the results doesn’t sound too bad, I was over half an hour behind Georgie Best with ten minutes of that loss being attributable to just two controls. (With 27 controls in 9.2k there was plenty of opportunity for losing time!) 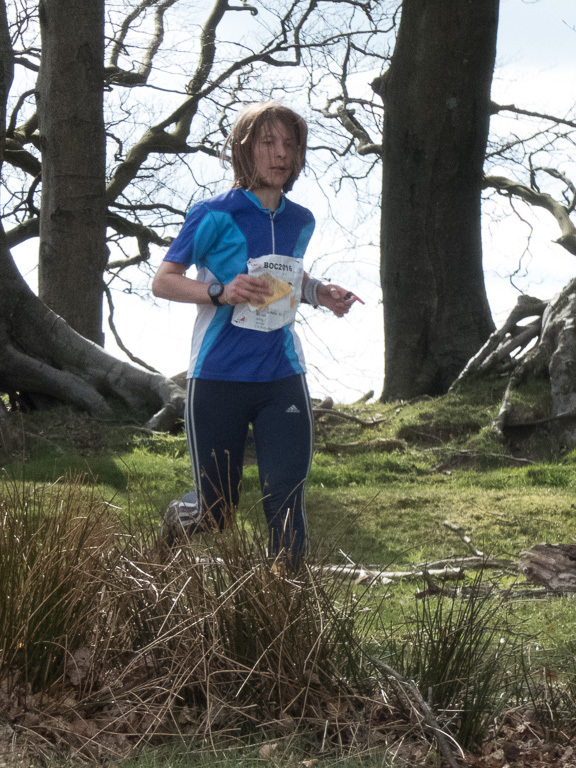 Christine failed to repeat her W16 win at Brown Clee, faring marginally better than me but still ending up ten minutes down on her course winner. Emma had the best result of the day, coming third on the white course in a time that would have netted her a win on W10B if she had the confidence to go out on her own. 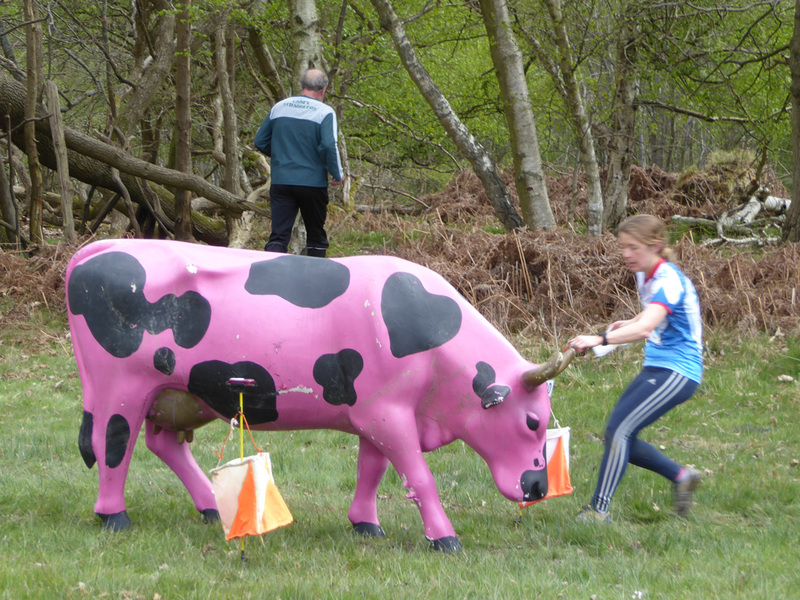 With rain forecast for most of Sunday, Christine and I returned for the relays without the children. I’m glad to say that we both had better runs. Christine returned first on the Women’s Short just as I set out on first leg on the Men’s Short. I ran alone for much of the course being caught just at the end and finishing just a few seconds down in second place. The commentary team had been primed to wish me a Happy Birthday as I came down the run-in! My team finished in fifth place whilst Christine, sadly, did not have a complete team. 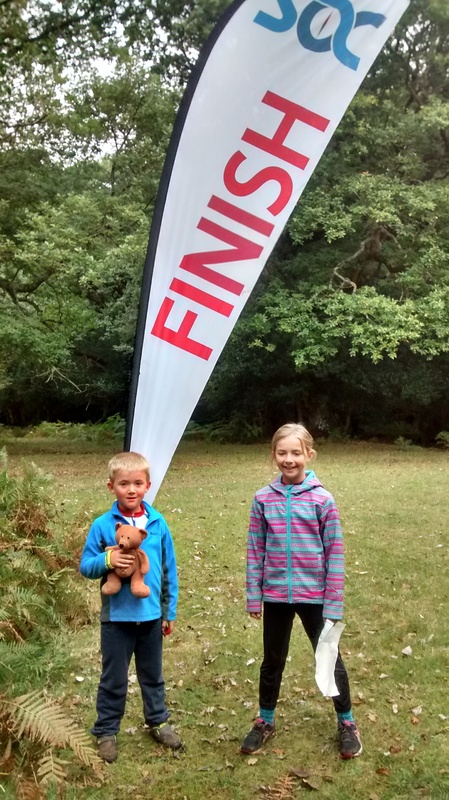 On the Monday Emma ran again, completing the hilly 2km at Devauden XC races in 11:16. 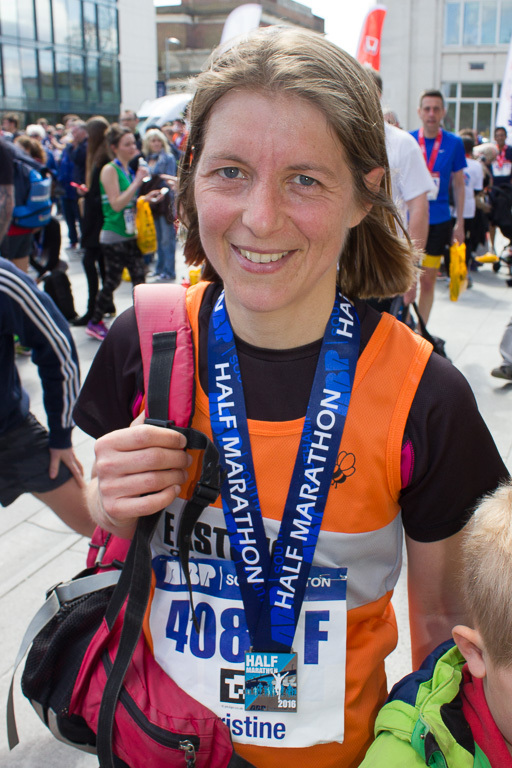 Christine and I were happy to sit the 10k out this year and watch her Mum run instead! Today was the start of SOC’s Summer Series of events at Fleming Park. Christine cycled down early to spectate the parkrun (her calf is currently knackered) and then the rest of us joined her. Duncan declined to start so Emma went round the yellow with Christine in tow. She was really pleased with her second place so will hopefully be a bit more enthusiastic before the next event. I enjoyed my subsequent run round the light green although could have done without the cold showers (it was lovely sunny day when we arrived). 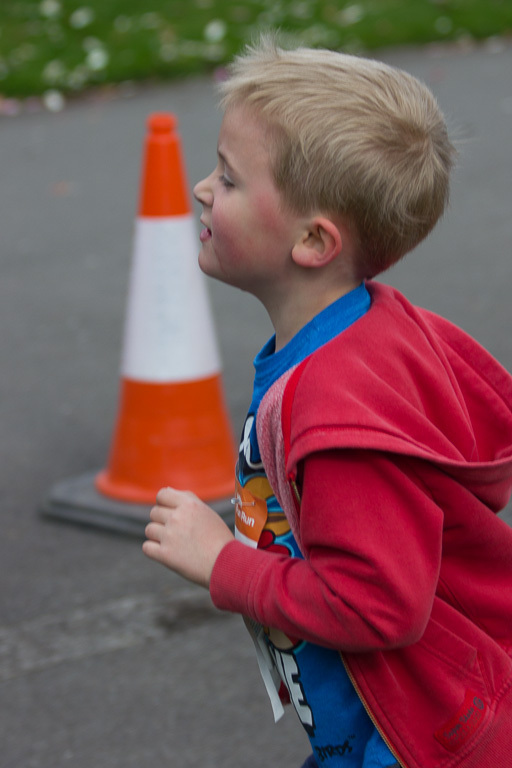 I was in first place when I finished although, to be fair, both Rob and Roger had done the parkrun beforehand. Most importantly, there was a great turnout. Let’s hope it continues for the rest of the series. Yesterday was the first Sunday of November which can only mean one thing: the November Classic. We were down to help on the start. Christine was down to run first and I was on duty calling out names (always an embarrassing job when you can’t remember the names of people you’ve known for decades!). As is usually the case with SOC, the start was well staffed and the children weren’t needed so they sat in their folding chairs and read (something that Duncan wouldn’t have been able to do a year ago). The mist took a while to burn off but it was otherwise dry and the autumn colours were lovely. I didn’t get off to a great start on my run wasting about 3 minutes on the second control which shows up well on RouteGadget. (Christine tells me the path I should have set off down was not obvious but no excuse really as the angle was totally wrong.) Next wobble was at 18 where I must have been stood on top of the control before running away and then coming back again. In my haste to get away I then veered off to the left on the next leg but didn’t lose much time correcting myself. When we eventually made it to the assembly field to download I was going to complain that I seemed to have an extra four minutes on my time but then remembered I had auto-pause enabled on my Garmin. Shows just how much standing around I must have been doing! The time was good enough to win the Brown course though even if all the action was on the Black. Mostly I was just pleased that, other than when climbing through the odd fence, my back hadn’t given me any problems on the way round (and doesn’t appear to be any the worse for it today).